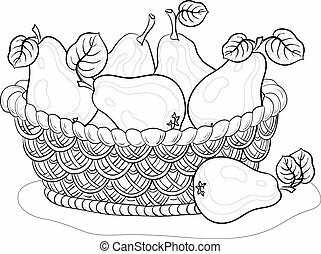 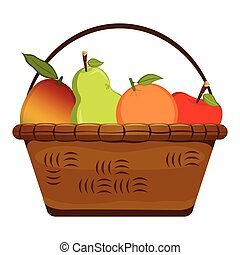 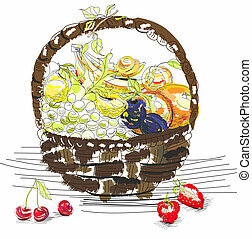 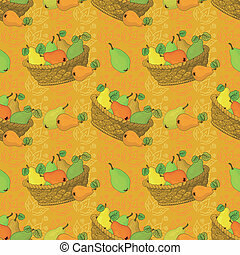 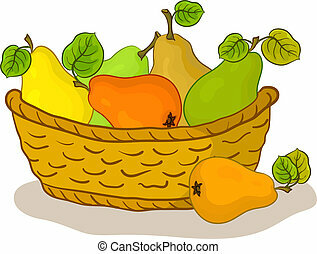 Basket with fruits, pears. 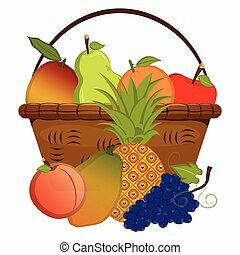 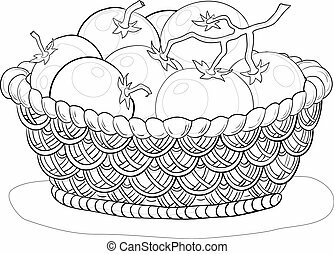 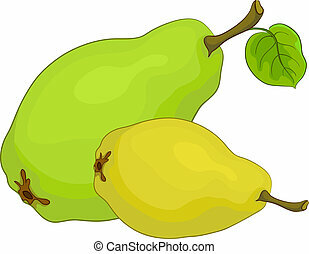 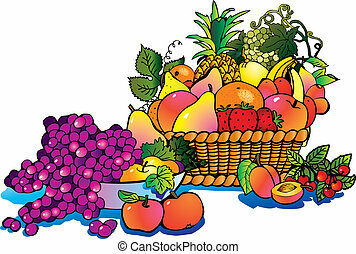 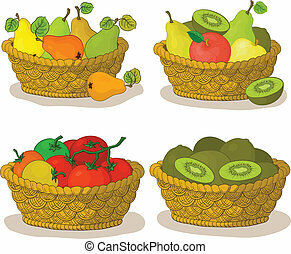 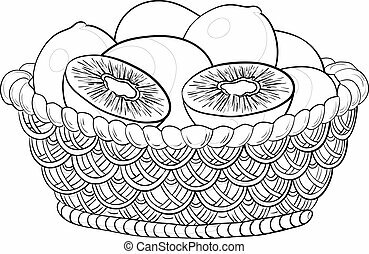 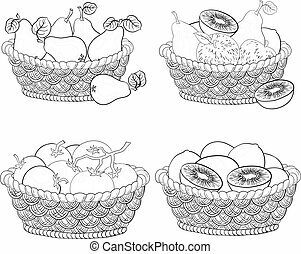 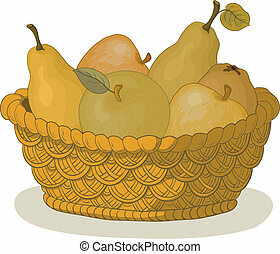 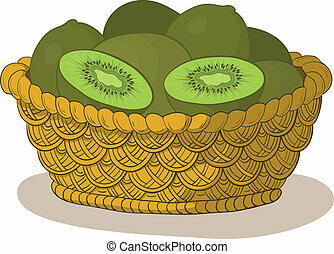 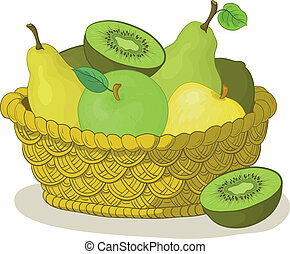 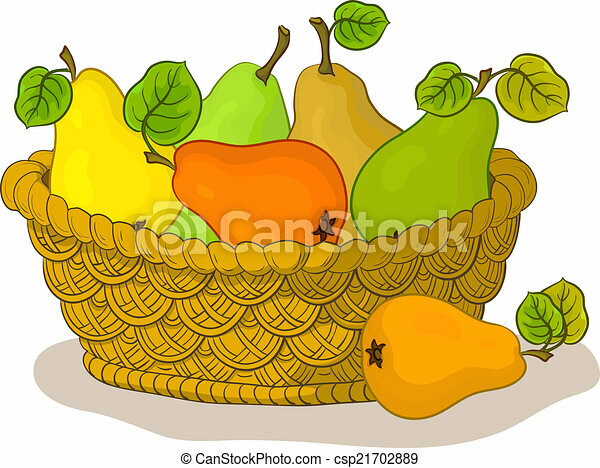 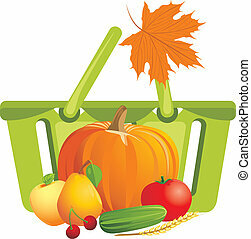 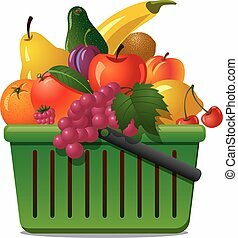 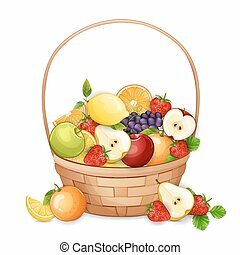 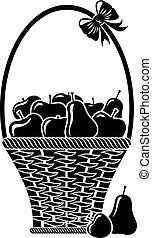 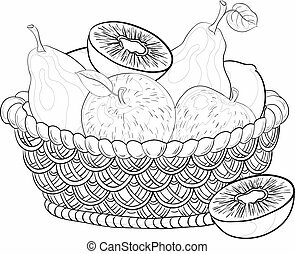 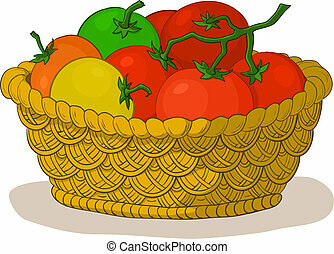 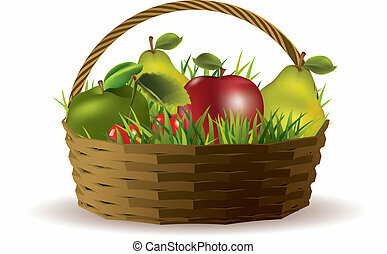 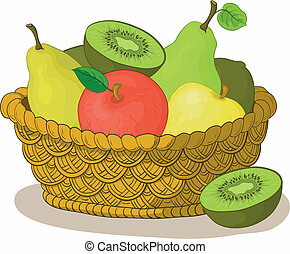 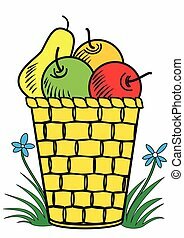 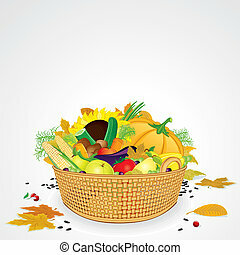 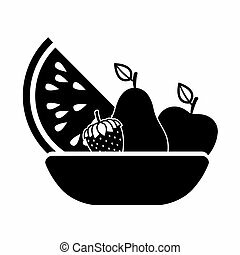 Wattled basket with fruits, sweet pears with green leaves, isolated on white background. vector.